The reliable TR series was specifically designed for re-shredding fractions with high calorific value and is mainly used for secondary fuels or alternative fuel processing. The TR is a high-performance shredder that also generates high-quality end fractions in addition to having high throughput performance. This seecondary shredder contains quite a bit of smart technology to increase your company's output and the quality of your substitute fuel. The large rotary shear diameter of 1,100 mm enables a large perforated screen surface thereby providing high throughput performance. In addition, this re-shredder comes standard with a frequency transformer that regulates the rotor speed thereby optimizing the throughput performance. The low TR series operating costs are a direct result of the low maintenance costs and the very long service life. Long maintenance intervals, short replacement time for cutting tools and an automatic central lubrication system render this re-shredder particularly low maintenance. Another highlight of this secondary shredder is its automatic foreign objects hatch. When foreign objects are pulled into the machine, the hatch opens automatically and prevents damage to the cutting unit. Our experienced project engineers will be happy to help you plan and implement your project. The TR machine's cutting system was designed for the economically efficient recycling of fractions with a high calorific value. The large rotor and the special design of the machine housing allows the rotor to independently pull in material and shred it by pushing it against the cutting bars. The perforated screen achieves fraction sizes from 80 mm to 30 mm. We don't let anything burn. In terms of fire protection and fire-extinguishing systems, we rely on the expertise of leading providers of fire-extinguishing systems. A camera monitors the discharge conveyor belt and is able to activate the fire-extinguishing system within milliseconds in the event of spark formation. We offer different hopper shapes that are exactly adapted to your infeed type. 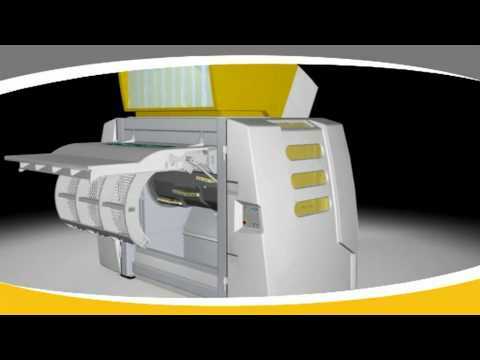 Regardless of which side your shredder feeds from – we will always be able to offer a suitable solution. 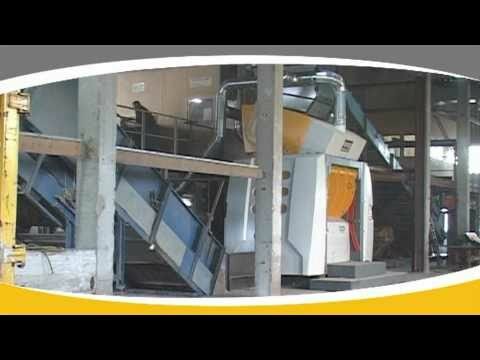 We offer suitable infeed, discharge and incline conveyor belts for our shredding machines, thereby ensuring smooth material transport. We recommend that our customers use a control room to protect the electric control. Thanks to the positive pressure, the electric control cabinet and the frequency transformer are protected against dirt and dust, which increases their service life and minimizes their vulnerability. A service platform provides you with an easy, secure and ergonomic access to the machine in the event of servicing or maintenance.